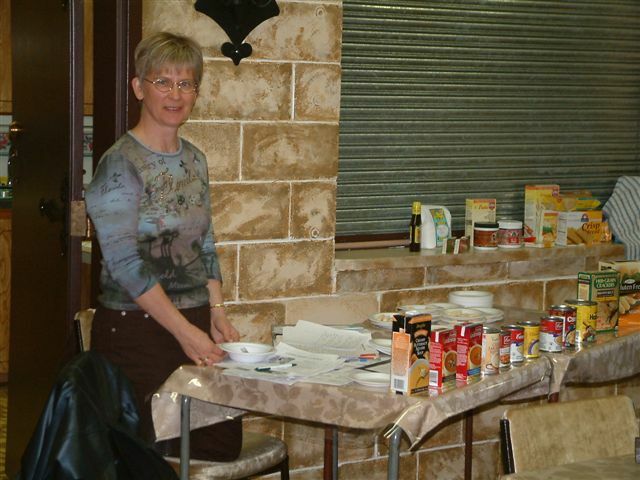 Photograph shows Nancy Kershaw making a presentation at the celiac disease support group that meets regularly at the Church of the Nazarene in Medicine Hat. Dear Dr. B: October is Celiac Awareness Month. Recently diagnosed, I find no one truly knows what it is. I didn’t know anything about it prior to diagnosis. I would like people to know how difficult it is to live with celiac disease food-wise. Answer: Celiac disease (CD) is a lifelong autoimmune intestinal disorder and runs in families. First degree relatives of individuals with CD may or may not manifest symptoms of the disease. It affects people to varying degrees, from being critically ill to being completely well. In Medicine Hat, there is a support group that meets regularly at the Church of the Nazarene. Currently the support group is run by Nancy Kershaw. Nancy was born with CD. She had diarrhea, bloating, anemia and malnutrition. She was diagnosed to have CD and put on gluten free diet. She did alright after that. That was many years ago. Now Nancy is a mother of three grown-up children. But she continues to adhere to gluten free diet. Any departure from the rigid diet regime and the symptoms come back. Gluten is the common name for the offending proteins in specific cereal grains that are harmful to persons with CD. When gluten is ingested, it causes immunologically toxic reaction in the lining of the small intestine. The small intestine is lined by villi which help absorb the nutrients from the food we eat. The toxic reaction damages these villi thus interfering with the absorption of nutrients and leading to diarrhea and malnutrition. According to medical literature, the “Coeliac Affection” was first reported by Gee in 1888. It was not until 1950 that wheat was proposed to be the cause of CD. The evidence was based on the observation of a Dutch physician named Dicke who noted during World War II, a time when wheat grains were scarce in Holland that children with CD who had otherwise failed to thrive improved on a wheat-poor diet. Diagnosis of CD is based on symptoms and tests. There are several immunological blood tests available to make a diagnosis of CD. But the only confirmatory test is a small bowel biopsy done during gastroscopy. A person should not be prescribed gluten free diet until the biopsy has confirmed the diagnosis. Abnormality in small bowel disappears once the person strictly follows gluten free diet. Nancy says CD support group was started in Medicine Hat about three years ago. About 12 to 20 people attend the meeting. Nancy feels that there are more people in Medicine Hat with CD but are not aware of the support group. At the group meetings the attendees share food and recipes and talk about their experience with CD. Nancy says some businesses and restaurants in Medicine Hat have been very supportive. For example, Nutters has been very generous with their food supplies for the support group. They are more than willing to stock gluten-free food in their stores. Nancy says Moxie’s Restaurant has gluten-free food menu. In fact, any restaurant would be able to help a person with special diet requirement if a person phones the restaurant in advance. Once CD is diagnosed, it is prudent to stay on a life-long gluten-free diet. It is not easy. But you can ask for help. The support group meets second Wednesday of each month at 7:00 p.m. at the Church of the Nazarene. Please contact Nancy at 526-0772 or Christine at 526-9524 for more information. Making sense of celiac disease, gluten allergy and non-celiac gluten sensitivity.December 1, 2015In "Medicine Hat News"
Making Sense of Celiac Disease and Non-Celiac Gluten Allergy is Not EasyMay 20, 2014In "Medicine Hat News"
Patients with Celiac Disease Should Have Regular Follow-upJanuary 25, 2011In "Medicine Hat News"